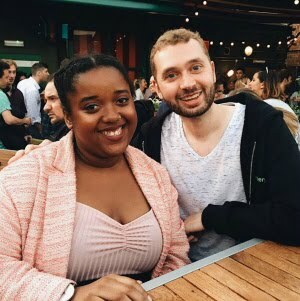 I'm back with another music review, I enjoyed writing one so much last time I've decided that it shall become a regular thing for me to write album/song reviews on here. 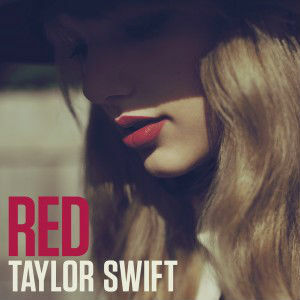 As a big fan of Taylor Swift and all her previous albums I'd never doubted that she'd come back with even better music. For me 'We Are Never Getting Back Together' is definitely one of my favourite songs at the moment, it reminds me of quite rebellious pop music. Having heard of Taylor Swift from when none of her music was released in the UK she's always had her quite country side to her music and I think even from her last album 'Speak Now' there's been quite a change in Taylor and not for the bad, yes she still has her country side but I feel that she's moving more in towards the pop side other than country. 'We Are Never Getting Back Together' is such a catchy song and it's like once you hear even a little bit it's automatically stuck in your head and you won't be able to stop yourself belting it out when you hear it. More on her new album 'Red.' it's set to be released on October 22nd and so far we know three song titles off the album called "We Are Never Ever Getting Back Together. ", "Red." which is obviously the same name as the album and one I am definitely so excited to hear called "Everything Has Changed." which features UK sensation Ed Sheeran. 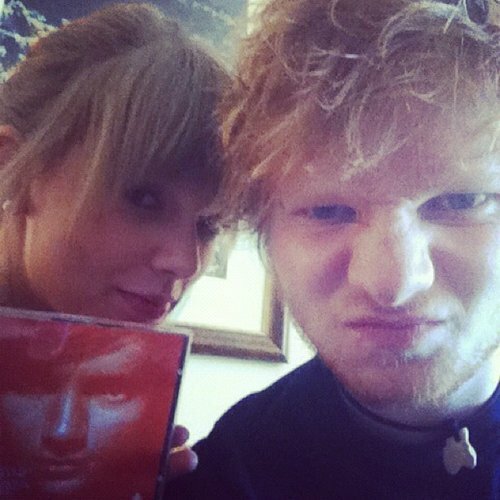 Not long ago Taylor tweeted "Eating cheeseburgers, scribbling on guitars, writing songs with @edsheeran. :)" and Ed tweeted "In and out burger, defacing guitars and writing music with @taylorswift13 :)" they're both my number one music artists so this is a very exciting time for me and others who are big fans of them both. Anyway, Taylor is set to perform at the MTV VMA's on September 6th but she's not letting on to what she's actually performing. I think we'd all think she's performing 'We Are Never Ever Getting Back Together' but rumour has it that she'll be singing 'Red.' We never know she could do a mashup of both tracks. Also, Taylor is coming to the UK in October, I think to do some interviews and things but something so very exciting is that she's performing at Radio 1's Teen Awards at Wembley Arena on October 7th. The event is for anyone aged 12-17 and I was lucky enough to go last year and I am so hoping that I get lucky again and mange to score tickets to see Taylor's first live performance of songs from 'Red.' If you're interested in attending the event then you'll be able to purchase tickets from the Radio 1 website on September 22nd. If you still haven't heard it, listen to 'We Are Never Getting Back Together' on the video below. 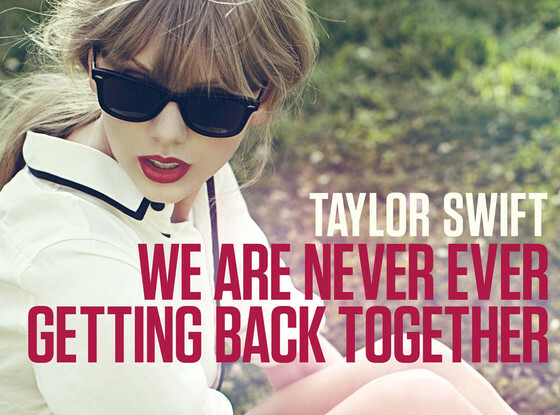 Have you heard 'We Are Never Getting Back Together'? do you like or dislike it? I love that song. Can't wait to hear that collaboration with Ed Sheeran too.